In chapter 12 and 22, in the rebuttal to Viner, and in remarks throughout The General Theory, a vigorous cycle, which does have booms and crises, is described. However, nowhere in The General Theory or in Keynes’s few post-General Theory articles explicating his new theory are the boom and the crisis adequately defined or explained. The financial developments during a boom that makes a crisis likely, if not inevitable, are hinted at but not thoroughly examined. 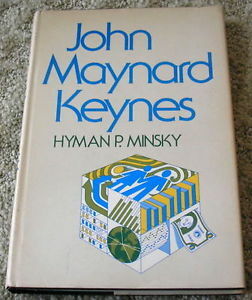 This is the logical hole, the missing link, in The General Theory as it was left by Keynes in 1937 after his rebuttal to Viner … In order to appreciate the full potential of The General Theory as a guide to interpretation and understanding of moderrn capitalism, we must fill out what Keynes discussed in a fragmentary and casual manner.